Mezanmi, jodi a kè m kontan anpil, nou finalman g on dat pou Jounen Rekonsilyasyon Nasyonal la. Dat la se setyèm jou nan mwa jiyè. Kòmanse depi ane sa a, sèt jiyè se yon jou pou padon ak rekonsilyasyon an Ayiti. E se yon jou pou tout pitit peyi a ki deyò, rantre lakay. M ap pwofite di yon gwo mèsi a tout moun ki gentan siyen demand pou ofisyalize jounen rekonsilyasyon an. Franchman, se moun tankou w yo k ap ede transfòme Ayiti tout bon vre. Moun ki reyalize ravaj rankin ak divizyon ap fè nan peyi a e deside nou pap kite divizyon kòm eritaj pou lòt jenerasyon an. Mèsi anpil pou konpreyansyon w ak volonte w pou w eseye yonlòt apwòch, yon apwòch k ap pèmèt nou itilize fòs gerizon ki nan padon an, pou n geri peyi nou. Randevou a kase pou 7 jiyè, M swete w ap vin ede m sonnen lanbi rekonsilyasyon an. Paske an verite, rekonsilyasyon pa yon chwa, men yon nesesite ak yon obligasyon. Li se yon nesesite pou pwogwè. Li nesesè pou bon fonksyonman fanmi nou yo, li nesesè pou pwosperite endividyèl e kolektif. Non pa m se Marli, M se yon Anbasadè lespwa pou Ayiti, e se Rekonsilyasyon M ap mande. Join us as we continue on with this tradition to Honor, Remember and Unite for Haiti. Let's celebrate as we help build a stronger, better community for our children here and in Haiti. 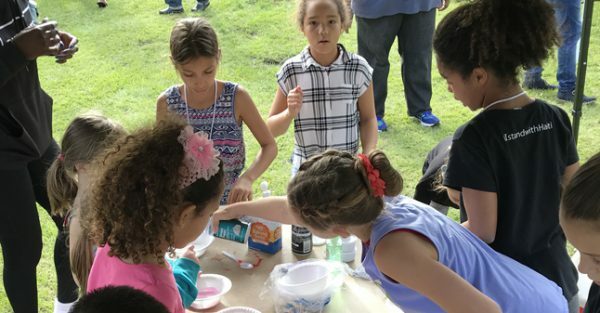 The 9th Annual I Stand with Haiti Celebration is packed with fun activities that will get the whole family moving. The event will start with a walk/run, followed by an outdoor Zumba session. Then we'll take it to the streets of South Florida for our community bike ride. Our Finish Line Celebration is not to be missed! It's loaded with fun activities for kids AND will test your karaoke skills. REMEMBER, RUNNING, ZUMBA, BIKING, DANCING AND SINGING ARE MORE FUN WITH FRIENDS! SO BRING ALL OF YOURS ALONG FOR THE RIDE! Check out the full EVENT SCHEDULE below (participants can join us at any one of the stops.) 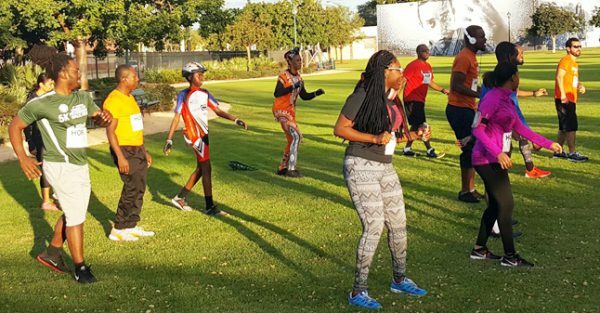 Saturday, January 12, 2019 8:00 AM – Check in and Registration for Runners, Bikers and Zumba – Jaco Pastorious Park - (Run and Zumba are FREE and open to all ages. 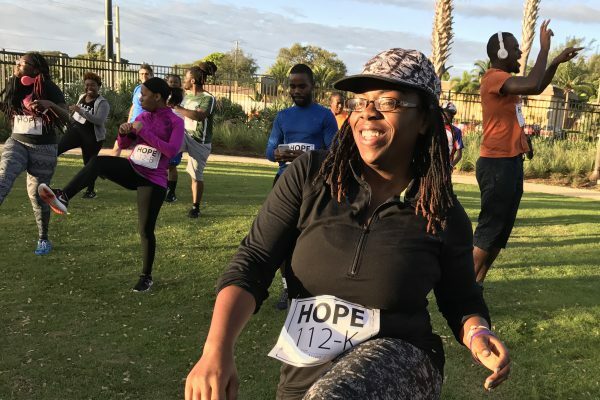 Click here to register https://colorofhope.org/zumba-for-haiti/) 8:30 AM – Run/Walk 9:00 AM – Outdoor Zumba Session 10:00 AM – Bikers depart from Jaco Pastorious Park 12:15 PM – Lunch Rest Stop #1 Toussaint L Ouverture Way - Delra 1:45 PM – Depart from Toussaint L Ouverture Way – Delray 2:45 PM – Arrive at Lake Worth Bryant Park – Finish Line Celebration If you can run, run for Haiti. If you can zumba, zumba for Haiti. If you can bike, bike for Haiti. If you just want to have fun, join us at the Finish Line Celebration and stand with Haiti. Hey everyone, this video is part of 10 clips I am doing to give you ten of the reasons why a leadership campus is a must for Haiti. So today I will start with number 10. The order doesn’t really matter, it’s just my top ten, and perhaps you can also send me your reasons why we should have a place with the sole purpose of creating better leaders for Haiti. So, at number 10 is doers. We need doers, people who will create opportunities in Haiti not only for themselves but for others. It’s evident that our children are being raised with a consumer mindset and unfortunately even the few with opportunities and abilities are being raised in the same way. This is why you hear a lot about lack of opportunities in Haiti, because we don’t inspire our children to be opportunity creators. Our children are raised and educated to wait for opportunities. It’s time we change that! Now, I understand not everyone will be an opportunity creator, but we must find ways to instill in our children that opportunities don’t just happen, they are created, and we believe in their ability to create opportunities right where they are, in their country. So the leadership campus will be a place to get their creative juices flowing, equip them with the tools and leadership skills they need to move from the consumer mindset to being doers. I am counting on your contribution to make it happen. Let’s create the next generation of leaders to help transform Haiti. Run, Zumba, Ride! 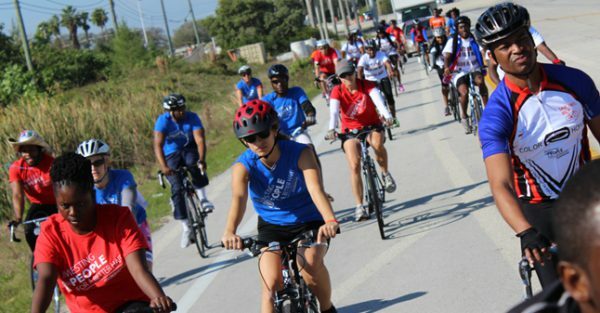 The 8th Annual Save Haiti Bike Ride is quickly approaching and it’s packed with fun activities that will get the whole family moving. This year, the event will start with a walk/run, followed by an optional competitive sprint and a free outdoor Zumba Session. Registration starts at 7:15 AM on Saturday January 13th, at Jaco Pastorious Park in Oakland Park. The running and Zumba activities will precede the kick off of the bike ride which, as in past years, will take us across counties in remembrance of the January 12, 2010 earthquake. After the run, our bikers will take the road to raise awareness throughout the streets, with stops in Boca at Mizner, in Delray at Veteran Park, then we will join the public at Bryant Park in Lake Worth for the Finish Line Celebration with live performances by Zeal Dubreus, Empress Addi & Band and others. DJ Tony will keep the crowd on its feet. If you can run, run for Haiti, if you can zumba, zumba for Haiti, if you can bike, bike for Haiti, if you just want to have fun, join us at the finish line celebration for the I Stand With Haiti celebration. Join us as we promote a more active and healthy lifestyle. The run and Zumba are free and open to all ages. Feel free to invite your family, friends and bring the kids. Full Event Schedule – Participants can join us at any one of the stops. We are so excited to kick off the 2017 I Stand with Haiti Campaign. A campaign to raise awareness and support for our work here and in Haiti. Be part of the 1804 donors we need. This year, we’re counting on your support to continue what we started, a movement to improve lives and make our Haiti beautiful again. 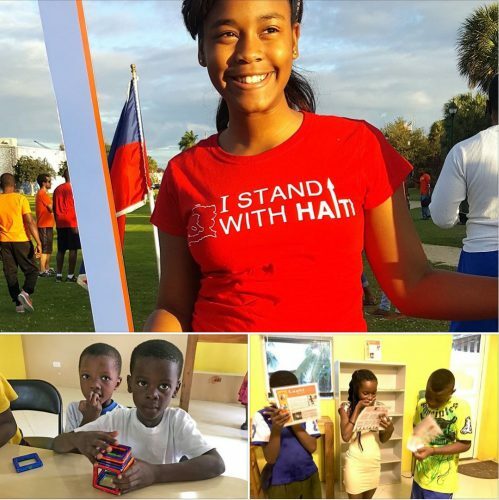 The 2017 I Stand With Haiti Campaign includes different activities and events and spans from September 1, 2017 to our annual bike ride on January 13, 2018. The campaign seeks to raise awareness and funds to implement our programs in 2018. Donate You can make a one time donation or become a monthly donor. Fundraise You can start a fundraising page here or on Facebook. You can also organize your own fundraising events to help us meet our goal. Kijan’w Ka Ede Oswa Fè Pati Inisyativ Sa a? Congratulations!!! You have taken the pledge to stand with Haiti and make her beautiful again. now it’s time to let others know you have taken the pledge to stand with Haiti. When you make a contribution to help this movement grow, we will send you any of these items below as a token of our appreciation. $500 or more receive all three Items.